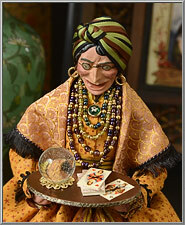 Come into my parlour, and let me 'tell your fortune, dearie?' 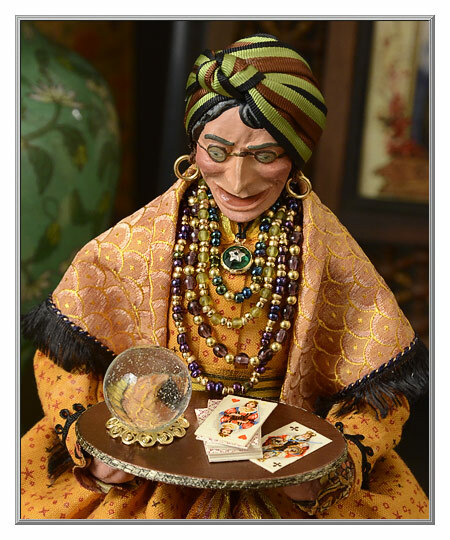 Are you destined to have your fortune told by a mystical old gypsy witch? 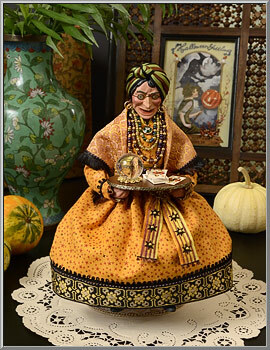 This ancient crone can divine the future and omens with both her crystal ball and fortune cards. 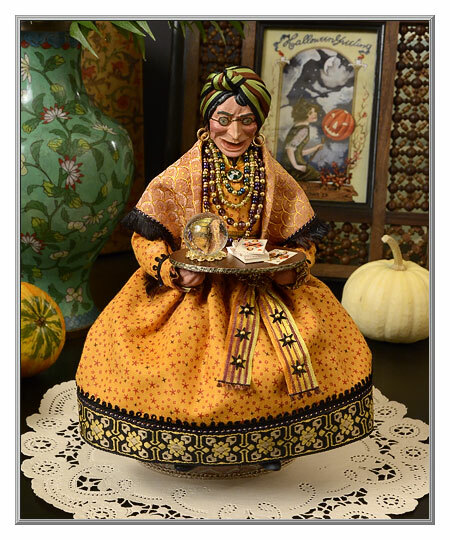 Such an enchanting guest throughout the Halloween season, this holiday delight can be displayed all year. Gift boxed. 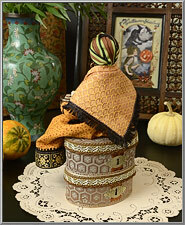 Designed and crafted in our atelier, the materials used are all vintage or old-style. 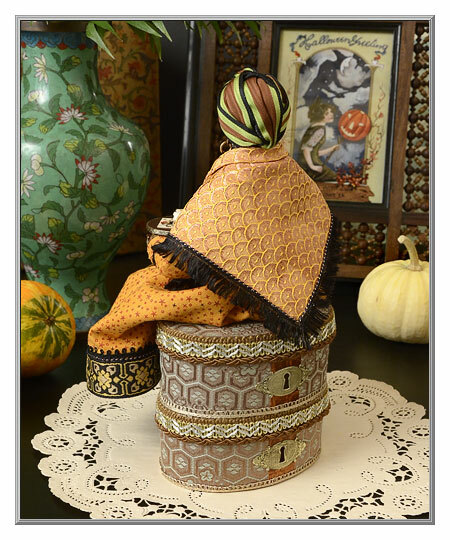 Sitting atop her set of elegant, silk-covered chipwood valises, the lower box opens to reveal a hidden surprise! Made using a cast papier-mache head and black dress boots from Germany, she is the picture of eerie elegance, from her fringed silk shawl and beaded glass necklaces to her vintage ribbon turban and starry sash. Crystal ball is solid glass, and the antique scrap cards were printed in Austrian 100 years ago. Sold as one candy container. is 9" high; her skirt is 6½" wide.